Ever wondered why some countries are developed and economically stable with everything working for them, while others continue to labour to gain the same established economy without success? Wonder no further. Some nations address the root cause of poor economy right from the childhood of their citizens through proper and adequate nutrition, while others focus on other areas that have no bearing on the mental and physical development of their young citizens. This is because several studies, including a report by the American Society of Nutrition have established a link between adequate nutrition before a child’s fifth birthday and the child’s high intelligent quotient and his ability to contribute meaningfully to the society around him. No wonder, recently, the Senate Committee Chairman on Health, Senator (Dr.) Lanre Tejuoso, during a presentation at the Nutrition Committee Dialogue n Abuja last month raised the alarm that there was a huge drain on Nigeria’s GDP due to poor child development and micronutrient deficiencies as a result of stunting that has affected several millions of Nigerians. “Some have grown into adults but without meaningfully contributing to the country’s GDP while over 11 million children below five years are still grasping with the silent killer in the country.” A narrative that suggests, if not checked, the next generation of Nigerian citizens may also end up contributing less to the country’s GDP. According to Tejuoso, who, since his appointment as the Senate Committee Chairman on Health, has identified malnutrition as a scourge in the country that must be eradicated if the country must succeed in giving the dividends of democracy to the citizens, said if Nigeria continues this way, it would continue to contribute the second highest number of child deaths in the world and will be unable to meet global nutrition targets adopted by the World Health Assembly. “One third (33 per cent) of children in Nigeria under five years of age suffer from chronic malnutrition or stunting which is even more prevalent among the poorest Nigerians. Half of the children in the poorest 40 per cent of households are stunted,” adding that, “nine of the North-east and North-west states, comprising Bauchi, Jigawa, Kaduna, Kano, Katsina,Kebbi, Sokoto, Yobe, Zamfara, have rates of child stunting that exceed 50 per cent, which is well above the highest rates of malnutrition in countries in Africa,” he said. While adding that some states in the South have stunting as low as nine per cent, he said the stunting gap between the North and the South was widening and would lead to greater economic disparities in the future. But was optimistic that since some states have managed to virtually eliminate stunting, it demonstrates that the problem can be tackled effectively if proactive measures were taken. Tejuoso believed malnutrition perpetuates poverty by reducing children’s brain development, their ability to learn and to be productive citizens during their adult years, adding that stunted children learn less in school; are more likely to drop out of school and will subsequently earn less as adults. Research by Amy Rose of North Michigan University, USA in 2010, showed that the developmental process associated with memory, mood, mental clarity, increased intelligence quotient, emotional and mental well-being is being altered when a child under five years is malnourished or is deprived of essential nutrients needed for optimal development, adding that this causes slow learning capacity in affected children. On specifics, Rose said there was a huge correlation between iron deficiency in children and the inability to solve simple maths, adding that, an iron deficient child has a short attention span and could hardly be attentive enough in class to learn. “A child with low amount of zinc will most likely have issues with memory. While a well fed child would easily memorise something within a day, it may take the zinc deficient child three weeks. Also a protein deficient child would most likely be passive, withdrawn and lethargic in school, all of which negatively affects learning abilities in children,” she explained. Rose recommended in the research that parents and the society should pay special attention to the nutritional needs of infants and children under five years, as this determines how much impact they will make in life due to what has been learnt. She resonated the much popular phrase, “We become what we eat,” which most Nigerians and its leaders take for granted. Apart from stunting, wasting and underweight, a Nutrition Officer with Oyo State Ministry of Health, Alhaja Alarape Khadijat, said chronic malnutrition in children, especially for those below ages two could lead to incessant recurrent illnesses due to the decreased immune system in them, and that in almost half of the cases, it may lead to death, thereby leading to the high mortality caused by malnutrition in the country. “Malnutrition can also make the children prone to nutrition-related non-communicable diseases in their adulthood, such as diabetes and hypertension.” This is even as she added that a malnourished child has a greater chance of dying from diseases like measles and diarrhea when compared to healthy children. A study conducted by Orphan Nutrition, a humanitarian organisation based in the U.S., showed that a deficiency in one nutrient may lead to a deficiency in another nutrient. For example, deficiency in iron, magnesium and zinc can cause anorexia and thereby result in reduced intake of other important nutrients such as protein. Low lipid intake can also affect the absorption of important fat-soluble vitamins such as vitamins A and D. It also showed that zinc and protein deficiencies can retard bone growth and development, putting a child at risk for long-term complications. According to Nigeria Demographic and Health Survey (2013), Nigeria has the second highest number of malnourished children in the world, just second to India, and way ahead of Somalia, Syria and other war-torn countries, as well as those with weaker economic strength. The survey also showed that Nigeria has the highest number of stunted children under age five in sub-Sahara Africa with 37 per cent of all children stunted, 18 per cent wasted, while 29 per cent are underweight. “Malnutrition, an underlying cause of death, accounts for more than 50 per cent of under five mortality in Nigeria,” the study shows. 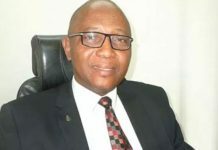 A UNICEF Communication Specialist in Nigeria, Geoffrey Njoku, has stated during a UNICEF media parley in Oyo State that in the South-west alone, about 22 per cent of the children under five were stunted, but was quick to add that the gloomy statistics from Nigeria does not represent children of the poor alone. According to him, children of the rich also suffer from the menace also, as it was not exclusive to poor people alone. 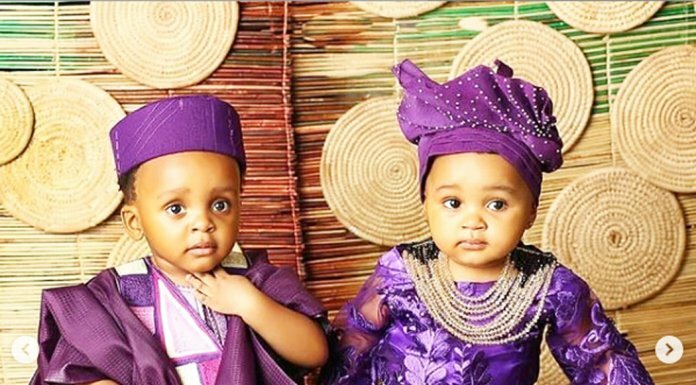 “About 13 per cent of children of the rich in the South-west are stunted,” he added. Collaborating this, Tejuoso said stunting was not only exclusive to children of the poor alone, but those of the rich were also affected, hence the country must make intervention in this regard as priority in order to save not only the lives of the younger generations, but to be able to prepare them for the task of putting the country’s economy on the global map, as is the case of developed countries. Tejuoso said for Nigeria to reduce the high incidence of stunting, it must focus on implementing a set of proven high-impact nutrition interventions in the health sector aimed at reducing child stunting, anemia, iodine deficiency and other nutritional conditions that impinge on productivity and human capital. “For example, iodine deficiency is the single largest cause of mental retardation. And it can be solved by adding iodine to the salt we all consume,” he said. He said the various interventions should include improving women’s nutrition, improving access to micronutrient supplements (Vitamin A, iron, zinc) through health systems; improving the quality of the food through micronutrient fortification, change behaviours of family members at critical points during the pre-pregnancy period until a child’s second birthday, early and exclusive breastfeeding, appropriate complementary feeding, hand washing, among others. “In addition, it would be important to establish linkages with other sectors, for example with the agriculture sector to promote biofortication of crops with vitamins and minerals, ensure that agriculture extension workers are trained on both the production and the consumption side, and other relevant nutrition-sensitive agricultural practices, including technologies that reduce women’s work loads,” he said. He called for coordination mechanism to manage intervention programmes and maximise the efficiency of current spending. “Priority should be given to coordination: Developing a mechanism (led by Government) to coordinate donor assistance for nutrition to maximise efficiencies, increase coverage of interventions by scaling-up high-impact interventions (maximising allocative efficiency by prioritising interventions that have the maximum impact). “There should also be crowding-in private sector financiers, such as the Dangote Foundation, the Power of Nutrition and others. There should also be monitoring and evaluation: setting up mechanisms to track results and lessons learned, so as to make adjustments in real time to maximise effectiveness,” he emphasised. Giving the total financing cost to address chronic malnutrition in Nigeria, he said about US$350 million was needed yearly to tackle the scourge, adding that this represents approximately US$10 per child in the country. 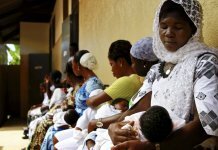 “This kind of intervention is an investment that would avert over three million cases of child stunting yearly, save over 180,000 children’s lives, save about 8.7 million disability-adjusted life years (DALYs), and on the long run push Nigeria to becoming one of the strongest world economy, as is the case with developed countries with minimal issues of stunting. The expected rate of return on this investment is between 20 to 25 per cent,” he emphasised. He decried that while many donors were contributing to this agenda, and estimates suggest that currently about US$50 million was being spent each year by donors in Nigeria on these issues, actions are not coordinated and efficiencies of scale have not been maximised as yet. “While this scale-up seems ambitious, it is feasible to start with maximising the efficiency of current spending, as well as prioritising scale-up of the most cost-effective interventions based on World Bank estimations of allocative efficiency,” he added. He also called on the citizens to make concerted efforts to avert stunting through exclusive breastfeeding for the first six months of a child’s life. “Breastfeeding should continue along with other nutritious baby foods for the next 1000 days of the child’s life. “Most malnutrition happens in the first 1000 days of a child’s life from conception to the child’s second birthday — and children lose up to 10 IQ points if they do not receive adequate nutrition and care in the first 1000 days of their lives. This early damage is essentially irreversible, with impaired cognitive development, reduced learning ability and lost productivity in adult years. Once the 1000 day window is closed, the potential of these Nigerians to lead productive lives will have been significantly decreased forever. “Nutrition programmes targeted at the first 1000 days age group can increase school completion by one year raise adult wages by 5-50 per cent, and children who escape stunting are 33 per cent more likely to escape poverty as adults,” he added. Meanwhile, the World Bank has said Nigeria requires about $850 million annually to scale up a set of 10 nutrition specific intervention that would avert three million cases of stunting, save 183,000 lives and yield $2.8 billion gains in economic productivity. According to the Lead Health Specialist and Global Lead on Malnutrition, World Bank, Meera Shekar, said while states in Nigeria with high poverty rates suffer from the highest prevalence of stunting, there exist simple interventions outside the health sector with potential nutrition impact to reverse the negative trend. “Some of these interventions include community programmes for growth promotion, vitamin A supplementation, therapeutic zinc supplements with ORS micronutrient powders, deworming tablets, IFA supplementation for pregnant women, iron fortification for staple foods like rice, maize, complimentary food for preventing Moderate Acute Malnutrition (MAM) as well as Community Management of Acute Malnutrition for severe malnutrition,” the health specialist noted. 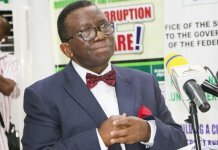 The Minister of Health, Prof. Isaac Adewole, recently, reiterated the Federal Government’s commitment to reducing the prevalence of stunting in the country. His ministry, recently provided a $1.5million grant to Sokoto State Government under the Saving One Million Lives Programme, which will take off this January across the State. The Sokoto State government, through the Permanent Secretary in the State’s Ministry of Health, Almustapha Othman, said in addition to maternal and child health issues and immunisation, a major part of the grant will be focused on tackling malnutrition. ”Nutrition is key in ensuring the successful implementation of the programme across the 23 local governments of the state. ”That is why the state government has concluded plans to upgrade the nutrition unit in the ministry to a full pledged Department. This is sequel to the tremendous importance that the state government attaches to nutrition,” he said. While advocates against stunting believes if every state across the country and the federal government make it a priority to tackle malnutrition, there will be less burden of the scourge, Nigerians will continue to watch if truly the government and the stakeholders will handle the burden this 2017.